Within the space of the first two minutes, the talented duo of multi-active F.S. Blumm and pianist Nils Frahm manage to suggest a Baroque rondeau, cowboy campfire and contemporary composition, just with the slightest flick of the wrist, each just for a moment. In the next, Frahm embarks on a lovely melody that Blumm mosquito-bites with noise. 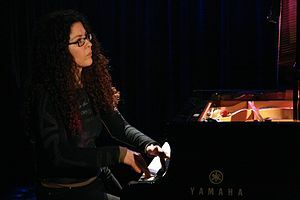 This oddly named collaboration is intended to accompany the duo´s 2010 collaboration Music for Lovers Music versus Time. Overdubbed and edited improvisations that not only have not been “cleaned up” but are further distressed by Blumm´s “concrete bricolage”, ranging from crumpling paper to crumpled digital. Music for Wobbling Music versus Gravity is a playhouse, and much of it really works, but too much broken toy racket risks sounding as outlandish as Spike Jones and his battery of wacky sound effects. Seeing as the classically-trained Blumm has such a singular touch with a guitar, it is when the two nestle deeply in sync on the spare “Old Friends Inst.,” “Silently Sharing” and “Sip Song,” that both their kinship and musicianship are thrown into high relief. Speaking of broken things, last year Frahm slipped, fell and busted his thumb so badly that four surgical screws were needed to put it back together again. Drawing inspiration from misfortune, he composed nine short pieces for nine fingers and recorded Screws. Brief, intimate and rudimentary recordings, picking up the very physicality of the piano and ambient hiss like dust motes in the air, its titles are simplilcity itself, taken from the “sol-fa” scale (bookended by “You” and “Me”). As familiar as folk, pop and jazz standards from the very first listen, the sweet, pastoral “Re”, sober meditation of “Fa”, muted optimism of “Sol” and a “Let it Be” gospel rise in “Si” are just a few of its furtive highlights. While Frahm´s collaboration with Blumm poses a challenge (one certainly worth accepting), Screws should please just about anyone who listens. 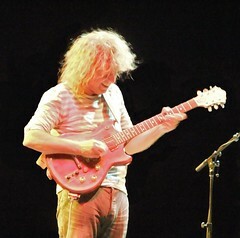 Pat Metheny plays John Zorn? Why not? 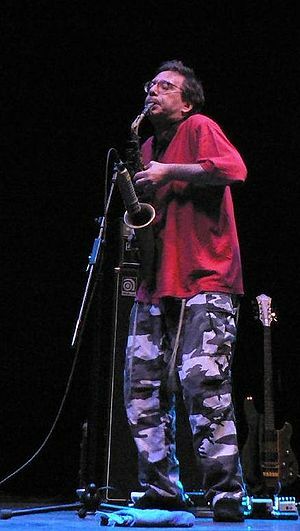 At this point in the careers of guitarist Metheny and composer-saxophonist Zorn, should anything surprise us? Metheny, who turns 59 next month, has pleased about as broad and diverse an audience as any instrumentalist: He’s won 20 Grammy Awards in 11 different categories. And yet he sounded as natural alongside Ornette Coleman on 1996’s “Song X” as with his longtime quartet. Zorn, who turns 60 in September, may once have represented a renegade downtown Manhattan scene, but that was long ago. His 60th is being celebrated throughout this year at venues as varied as Lincoln Center, the Metropolitan Museum of Art, Columbia University’s Miller Theater, and the Japan Society — a reflection of the depth, breadth, and reach of his celebrated work. This season’s concerts originally meant to focus on solo performances by three brilliant contemporary classical performers: Eric Byers, cello (Los Angeles, Calder String Quartet) and electronics; Ian David Rosenbaum, solo percussion (New York, Lincoln Center Chamber Music Society and Le Train Bleu), and Evan Ziporyn, clarinet (MIT in MA., Bang on a Can All Stars for 25 years). And then KONK PACK trio (England and Germany) let us know they will be on a rare tour of America and we couldn’t miss that opportunity to have them here. We loved them when they performed at Spruce Street Forum in October, 2001.